There is news and updates that follow, but let’s cut to the time sensitive matter of Christmas orders and Christmas Surprise Packages. ● You have 6 shipping days till Christmas, but it is NOT too late to receive your Palladium order or Grab Bag in time – but you must order today, tomorrow or over the weekend to guarantee delivery by December 23 (or sooner) via UPS or Priority Mail (see cost saving details below). ● The Christmas Surprise Package offer ENDS December 23, 2011. ● The Christmas Surprise Package – $80-$90+ worth of merchandise (often more!) for only $38 plus shipping and handling, is one of the best holiday deals anywhere. And you also get autographs in every book if you want them and the element of surprise with your wish list. Heck, the Palladium Christmas Surprise Package may be the “very best gift” money can buy, period! At least for gamers. Buy one or several as gifts for your friends or for yourself. Use it to get books on the cheap to fill in holes in your gaming collection, try new RPGs and game settings, or get back issues of The Rifter®, or get original art, art prints and autographs. Surprise your fellow gamers with one choice book or a big pile of books for Christmas thanks to Palladium’s Surprise Package. Can you imagine the look on your friend or loved one’s face when you hand him or her a pile of role-playing products worth $90 (or more) . . . with autographs? And you only paid $38 (plus shipping and handling). Word it right and you may get a Surprise Package that has enough items to give to two or three friends. ● UPS Ground Delivery – You must order by SUNDAY: Place your orders between now and Sunday night and you should get any order shipped UPS Ground in the contiguous United States on or before December 23, 2011. No special shipping cost for faster shipping is necessary. It can be traced (most packages sent via the US Postal Service cannot be traced). Note: Those of you living east of the Rocky Mountains should get your UPS Ground orders in 2-3 days, so you MUST place your UPS Ground order by Tuesday. Those of you west of the Rockies (and those in New Mexico) takes 4-5 days, so you need to place your order by Sunday night. REMEMBER, it can take one or two days for your order to be processed and shipped. When you place an order it is usually shipped the next day by whatever means you request – provided there are no questions, problems or delays with your order. We do our best to make sure orders arrive before Christmas, but cannot guarantee delivery of UPS orders placed after Sunday. ● UPS 3rd Day Select – You must order by MONDAY night to get package by Christmas at most locations in the USA: This service is guaranteed to arrive 3 days after being shipped to an address within the contiguous United States. ● UPS 2nd Day Air – You must order by TUESDAY night to get it by Christmas at most locations in the USA: This service is guaranteed to arrive 2 days after being shipped to an address within the contiguous United States. ● UPS Next Day Air – You must order by THURSDAY night to get it by Christmas at most locations in the USA: Guaranteed next day after it ships. HOWEVER, Palladium needs a day to process orders. It is our understanding that NEXT DAY packages will be delivered on Saturday, December 24, which means you could order on Thursday, but we can NOT guarantee delivery and recommend you get your “Next Day” orders in by Wednesday. ● Parcel Post – You must order by SUNDAY night to get your package by Christmas. Parcel Post takes 3-6 days to arrive. No guarantee you’ll get it in time. Note that orders shipped via the US Postal Service cannot be traced or tracked. ● Priority Mail – You must order by WEDNESDAY night to get your package by Christmas. Priority Mail takes 1-3 days to arrive. No guarantee you will get it in time. Note that orders shipped via the US Postal Service cannot be traced or tracked. ● Express Mail – You must order by THURSDAY night to get it by Christmas at most locations in the USA: Express Mail takes ONE day to arrive. ● Media Mail packages WILL NOT ARRIVE before Christmas! Do not use Media Mail if you need the package in time for Christmas. If you can wait 6-21 days AFTER Christmas then this is fine. Media Mail is also much more likely to get “lost” in the mail. NOTE: Any order shipped Media Mail that is “lost in the mail” is YOUR loss, not Palladium Books. Your order will NOT be recreated. YOU use Media Mail – the most unreliable of shipping services – completely at your OWN risk. We strongly recommend UPS or Priority Mail. ● To expedite your orders, PLEASE make sure your Surprise Package Wish List/Special Wants are clear and numerous, include 8-12 currently available books/items, and make certain your address is complete and correct. We MUST have a complete street address including Apartment Number to ship via UPS. UPS cannot ship to a P.O. Box (see Priority). If you give us the wrong or incomplete address and the order gets lost – the loss is yours. Palladium cannot replace the order as a result of your mistake or omission. Remember, we are packing Christmas Surprise Packages full, often with $85-$100+ worth of product, and Palladium cannot afford to send the package out twice due to your mistake. We hope you understand. 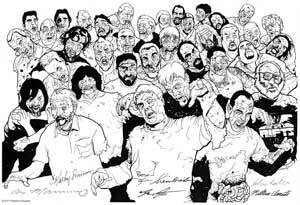 Likewise, numbered, limited editions and original artwork can NOT be replaced if lost. BE CAREFUL, send your complete, current address – including your apartment number – and use a reliable, trackable and insured method of shipping like UPS. Note to Customers Outside the U.S.A.: At this point, we can NOT guarantee any order placed from this point forward to arrive before Christmas. It may if you use one of the express methods of shipping, but we can not guarantee delivery. Sorry. 1. You, the customer, are responsible for any and all duty, taxes or Customs fees. Books have the lowest fees and duty, but they can still be costly (typically around $20-$30). 2. Palladium Books is not responsible for any delays at Customs. We cannot guarantee time of arrival, so give yourself a few extra days. International Priority Mail should arrive within 5-7 business days, but give yourself a little extra time to be safe. 3. Palladium charges you ONLY for ACTUAL postage plus a small handling fee. We are a small company and can not offer the low or no shipping that big companies like Amazon are able to provide. We hope you understand. Palladium Books processes Christmas Surprise Package orders EVERY day (except weekends) in an effort to get them to you before Christmas. Have a wonderful and joyous holiday. OFFER ENDS December 23, 2011. Whew, have I ever been busy wrapping, packing and shipping Christmas presents. I’m not talking about the Surprise Packages, though they keep us all busy, I’m talking about gifts to members of the Palladium extended family and friends. I try to send most of the freelancers who I work with quite a bit a little something to say thank you for their contributions and to let them know they are special and appreciated. This may extend to their wives and children, even if it’s only a box of crayons and a coloring book or two. Most gifts come out of my own personal funds, not Palladium Books. I have always done this, which is why I keep a vigilant eye open for items I know that specific people will enjoy and to spread out the expense over the entire year. I mention it now, only because a fan from Texas (Hi, Mike) was in the area and dropped by last Sunday evening to chat and pickup a few items. Julius, Alex and I were in working to get Christmas Surprise Packages ready for shipping on Monday, and Kathy was helping me wrap presents for freelancers and friends. Mike went on to say he thought it was cool that I did this and that it was an awesome sight to see. He also suggested I take a picture and include it in a Weekly Update. Since he was so tickled by seeing this, I thought I’d do just that. By the way, the presents Mike saw shipped out on Monday. What you see in the photo is wave two. I try to get a little something for about 40 people so it’s a lot of wrapping and usually takes me the better part of a week to do. I have been told I’m crazy to do this. Maybe I am. I’ve never denied being crazy. ;) Others tell me it’s too costly, but hey, it’s my money and I start saving up for the next year as soon as Christmas is over. Here is the main reason why I do it. We only go around in life once. I grew up poor. For many a Christmas, my brother and I had to make things for people because we didn’t have the money to buy a gift (being an artist came in very handy!). I know what it is like to scrimp and save to get the people you care about a gift to say, “I love you,” “Thank you for all you’ve done for me,” or “You’re special and appreciated.” Everyone likes to get gifts and feel special. The gift doesn’t have to be big or expensive either, especially if it’s something you know that person will enjoy or make him smile. Corny? Maybe. But I love Christmas. It is a lesson I learned from my Mom and Dad. No matter how poor we were, they always made sure my brother and I had a pile of gifts under the tree. They may have been a box of used comic books bought for a nickle at the book and coin exchange, or a box of crayons and a few coloring books, along with socks and clothes that we ‘needed.’ And they always made sure it was stuff we really wanted. And then there would always be that one ‘super-special’ toy or, for me, art item (brushes, tech pens, paint, etc.) that you knew was more than they should have spent, but they bought it anyway. Mom and Dad always made Christmas a joyful and magical day, even if we didn’t have the big fancy stuff everyone else had. I’m just keeping that tradition of joy alive. I learned one more lesson from my Mom (Dad and Grandma helped too), that people are what Christmas is all about. That you need to show and tell the people who matter in your life that you love and appreciate them. That powerful life lesson was driven home hard by the fact that when I was just 14, my Mom – who was also my best friend – was diagnosed with breast cancer. Serious stuff. Double-mastectomy followed by rough chemo-therapy and physical rehab. Suddenly, I was faced with the possibility I could lose my Mom who meant everything to me. From that day forward, every Christmas, every day, was important and special, because it could be her last. It could be the last for any of us. This Christmas will be a bit less joyous for the Bartold family, as I am sad to report that my friend, Sophie Bartold passed away this week. My last visit with her was a few days before Thanksgiving. It was a wonderful visit. She was still the sweet, loving Mrs. Bartold I had always known. She was awake and alert and excited about my being there, and she was looking forward to having a glass of wine on Thanksgiving with her family. I was supposed to be working on Rifts® Lemuria and was going to keep the visit short, but she and I were enjoying our time together so much, I ended up staying for almost four hours. I’m glad I did. It was so worthwhile spending time with Mrs. Bartold. One last, beautiful memory of a beautiful lady. This Christmas, my dear friend Kathyrn Kozora wages her own battle with cancer. I pray it is a battle she wins. Right now, that battle is a brutal and painful one, but she’s a fighter and Kay has the inner strength of Hercules. I think about Kay every day and hope she has a wonderful Christmas with her children, grandchildren and loved ones. My insignificant gift is on its way to her. I hope it is something that makes her smile for a moment every single day. I love you, Kay. Madman Mike Leonard is my pal. He’s a fan boy and freelancer who I met and over time, we became friends. Though we live hundreds of miles apart, Mike calls me every week or two. In fact, I just got off the phone with him a little while ago. Last week, Mike almost died. I played it down this summer, but the illness suffered by my best friend, Alex Marcinisyzn, was also potentially life threatening. I was scared for him. I am so very grateful his illness seems to be under control and Alex is doing well. Don’t know what I’d do without Al in my life. So yeah, for me, Christmas is a time to tell the people in my life just how special they are and that I love them and appreciate them. For those of you who purchase a Christmas Surprise Package, I hope it puts a smile on your face, because that’s what they are designed to do. Thank you for your support and friendship. May your Christmas, Hanukkah, Kwanza or whatever holiday you celebrate be filled with love, friendship and joy. Online Sales are finally rocking! Keep ‘em coming. Matthew Clements has been busy working on Northern Gun and a couple other projects. Alex and Wayne are working on The Rifter®. Shoot, that reminds me, I need to send out art assignments for it!!! Dang! Julius has been swamped packing and shipping orders. Don’t feel bad for him, we all pitch in and help, and Jules loves to see orders rolling out. Kathy has been busy processing orders and Surprise Packages, wrapping presents and helping out wherever she can. Me, I’ve spent the entire week working on Surprise Package, wrapping presents, packing, shipping, dealing with immediate business demands and loving seeing orders pour in for the Christmas season. I also read every single Surprise Package order and have been enjoying the brief comments and suggestions many of you share. The retail price of the Rifts® Ultimate Edition goes up to $39.95 after Christmas (a new printing comes in December 21, and we only have about 30 copies left at the current $35.95 price). I hope you’ll agree that $39.95 remains a fair price for this juicy, 376 page, hardcover RPG. Meanwhile, we’re trying to hold the price on most other titles even though shipping and other costs are rising. 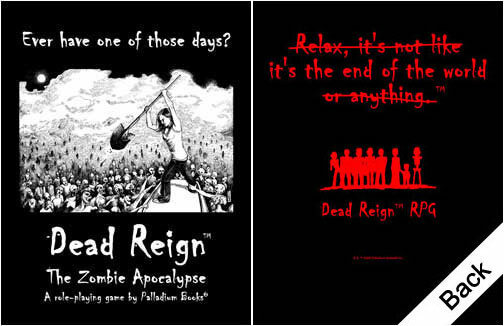 Palladium Bookmarks Set One is selling like crazy and is the surprise hit of the season. We’ll do Set Two in January or February. 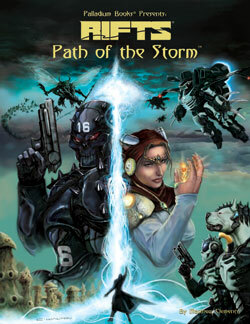 Rifts® Path of the Storm™ is being well received and enjoyed by all. 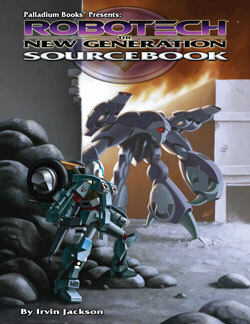 Robotech® The New Generation™ Sourcebook is selling well and we are seeing more requests for Robotech® product in general. 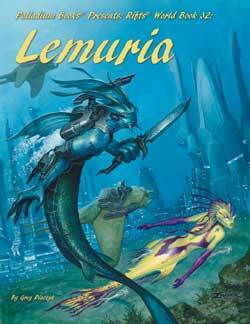 Rifts® Lemuria will be finished soon and ship in January. I promise. That’s it for now. I know there will be another Weekly Update before Christmas, but I just want to wish everyone happy holidays already. Keep your hearts filled with the holiday spirit and your imaginations burning like a star in the heavens. During the holiday season, we like to let you see some of the many comments we get with the Christmas Surprise Packages. It’s a nice way to acknowledge some of our fans and to share with you the kinds of words we hear from gamers throughout the season. We show only initials as some people would rather keep their identity private. Our thanks for your kind words of appreciation and encouragement. We’re happy to see so many satisfied customers and the rampant enthusiasm. M.W. at Fort Hood, Texas, writes: My Squad and I thank you for all of the hours of escape the new material will give us. J.G. in Barrie, Ontario, Canada, writes: This the 5th year I have purchased the Christmas Surprise Package, and each year it gets better and better. I started playing Rifts® when the game [first] came out and have been playing it in one form or another ever since. My love to you guys and gals at Palladium who work your @$$es off bringing us great title after title every year. M.L. in Glen Burnie, Maryland, writes: After ordering three Christmas Surprise Packages this year (and one last year), I told myself I was done until 2012. But . . . I . . . just . . . can’t . . . help . . . IT! I love these things. Keep up the great work! C.W. in Prescott Valley, Arizona, writes: Just a bid of thanks to Santa Kev and crew for being the coolest game publishers on the planet! K.M. in Tigard, Oregon, writes: Hi Everyone. This is actually for my 16 year old nephew for X-Mas. I introduced him to the Palladium line last summer and he loves it. I gave him a couple of core books. 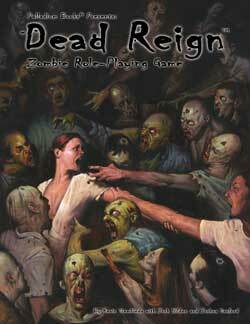 He REALLY wants the core rulebook for Rifts® and Dead Reign™. Thanks for helping me make his X-Mas awesome! D.M. in Saint Claire Shores, Michigan, writes: Thank you so much. I have the first edition of Rifts® and my wife just surprised me with the Rifts® Ultimate Edition along with other goodies from the Palladium store. Now I can’t wait to jump back into the Megaverse® with our kids. Merry Christmas! M.C. in North Ogden, Utah, writes (in part): This is my first time buying through the Grab Bag. . . I love what you are doing with Rifts® and Robotech®. I wish you the best of business this holiday season and in the upcoming year. I know I will be watching eagerly for future releases like Rifts® Lemuria, the Vampires Sourcebook, UEEF Marines Sourcebook and Chaos Earth™ First Responders. . .
E.M. in Manhattan, New York, writes: Palladium is doing the best long term job in the RPG industry. I’m waiting for Rifts® Antarctica – I love the Earth setting World Books. D.N. in Aurora, Colorado, writes: You guys are doing an amazing job on everything. I have been a die hard fan since I was a freshman in high school. I am now 35 and have three boys. My oldest is now getting into your games with his friends. I even met my wife at a Palladium gaming session. Thanks for all the great times and memories. Keep up the good work. G.F. in Hamilton, Ontario, Canada, writes: Just wanted to thank you guys for the great product and this amazing deal [the Surprise Package]. It means a lot to people like me and my brother who is also ordering one of these to have an opportunity to obtain your books as it can be difficult to find them in our area. Love your books. Can’t get enough of Rifts®. J.M.H. in Englewood, Colorado, writes: It is personal touches like the X-Mas Surprise Package that sets Palladium Books apart from other gaming companies. My buddies and I have been playing Palladium games for 15+ years and we still get excited about being able to have the open diversity of Rifts® as an excuse to get together. Thank ALL of you so much for everything that you do. It means a lot. A.H. in Pasadena, Maryland, writes: Thank you for the thoughts and caring you show the players of your wonderful worlds. J.S. in Studio City, California, writes: So glad you guys are powering along! Available now! Have you ordered yours? 96 pages – $16.95 retail – Cat. No. 554. Available now. 96 pages – $12.95 retail – Cat. No. 305. Available now. 96 pages $16.95 retail – Cat. No. 233. January release.